A real natural paradise, a jewel of rare beauty, anyone can reach the famous beach is amazed by the combination of nature, which can be admired in the mountains above the blue sea and highlighted by sandy bottom. 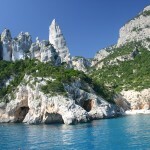 The arch in the rock and the pinnacle above it (Punta Caroddi 160 m.) Form the backdrop to this beautiful cove. Reached the plateau of Golgo after about 1 hour 1 30 “walk. 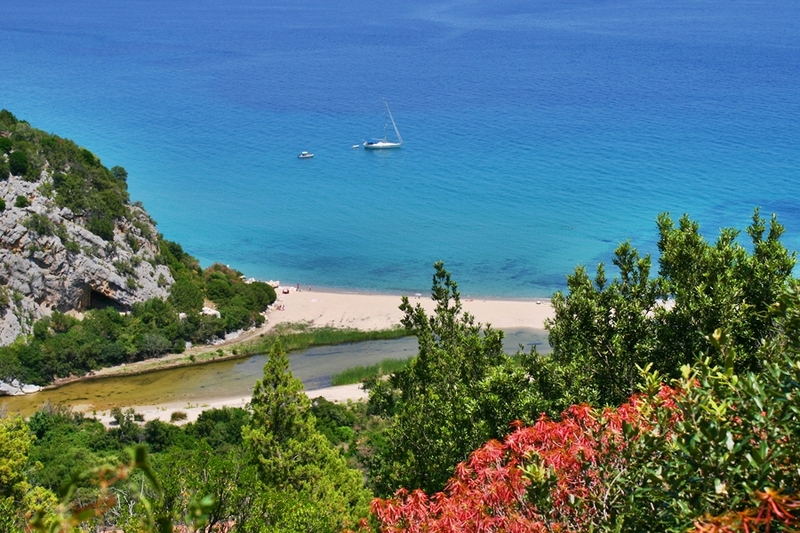 The beach Ispuligidenie (Mariolu) opens into the Gulf of Orosei, in the resort of Punta Ispuligi. The name is linked to the Mediterranean monk seal, nicknamed by the fishermen “mariolu” (thief) because it took fish from the nets. The waters are clear, the sand is mixed with pebbles round pink. 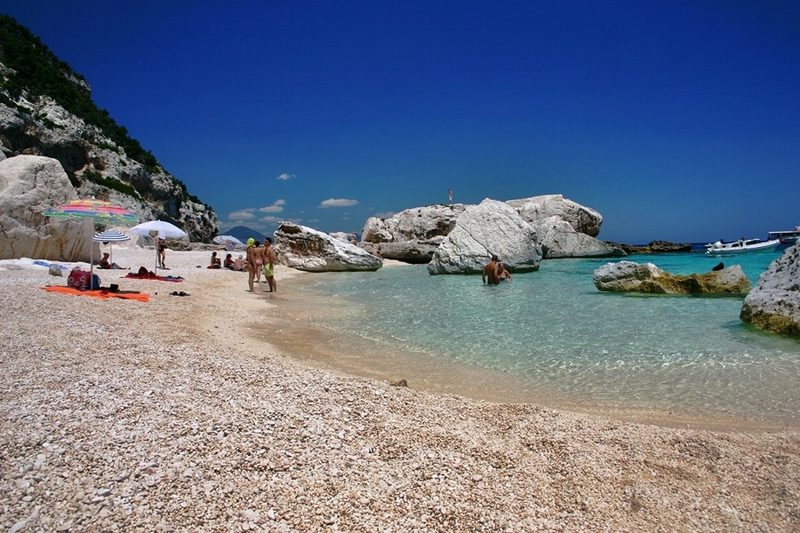 The area is full of caves, one of which opens directly onto the bay, while nearby is the Grotta del Fico, reached by boats leaving from the marina of Santa Maria Navarrese. 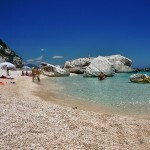 The beach is characterized by shallow waters, making it quite safe for children to play. 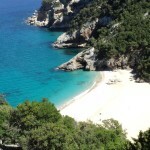 The beach of Cala Biriola opens into the Gulf of Orosei under the Biriola forest, rich in vegetation and in particular juniper growing on rock. The original natural rock arch that spans the small beach and the water very clear and full of fish fauna, make this particularly attractive resort, suitable for scuba diving or simply swimming with mask and snorkel. 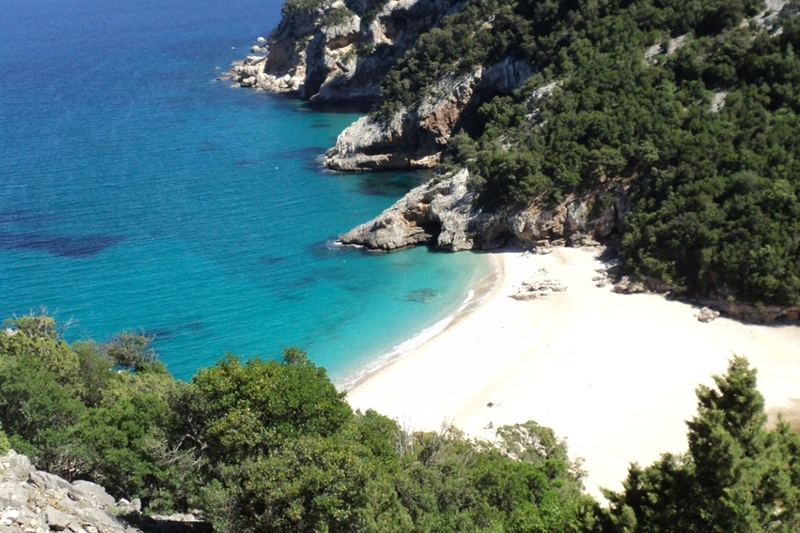 A white sandy shore and the high and wooded slopes, are the frame of another wonder of the area: Cala Sisine. 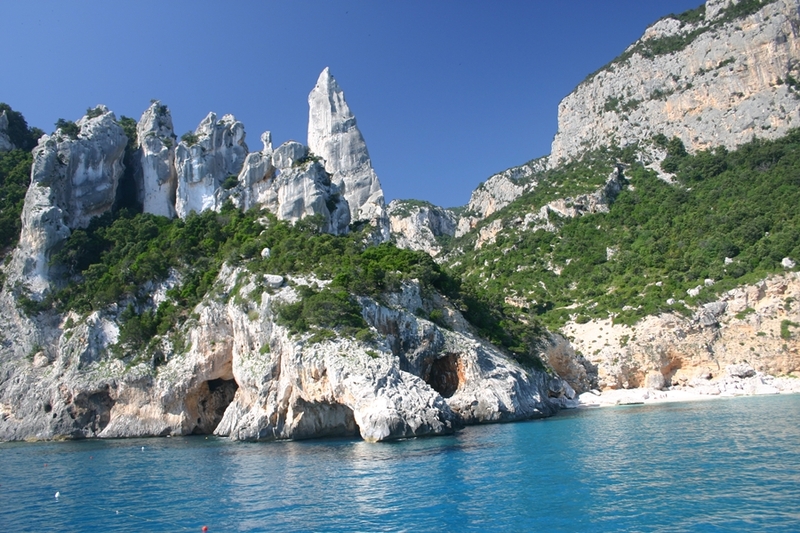 From the beach climbs up the deep canyon that opens the door to the wild supramonte Baunei, a kingdom of nature. The Golgo plateau in one hour by car between turns, and “jumps” in the river bed will get only 20 min. ride from the beach, through the “codula” and narrow paths really fascinating. 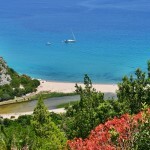 Probably the best known among the beaches of the coast Baunei is also the northern border with the municipality of Dorgali. 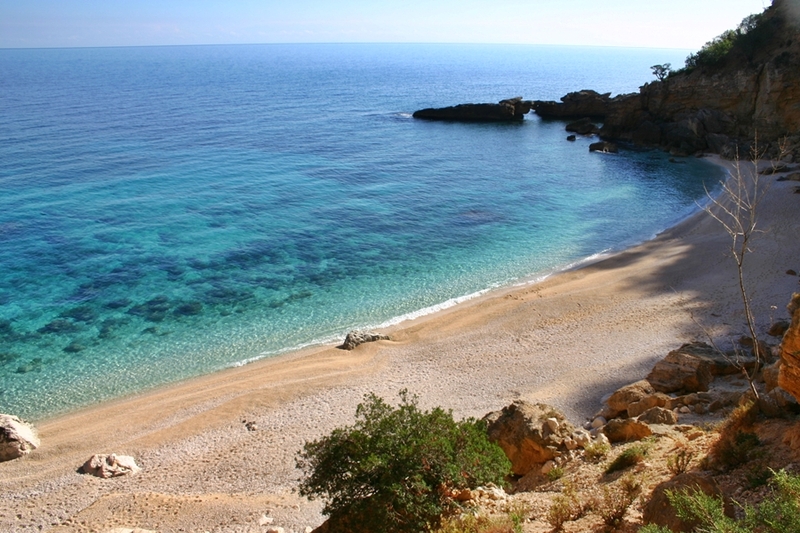 An expanse of nearly 700 meters and a clear sea of the rest are 35 km of coastline that precede this corner of paradise. There is a picturesque freshwater pond behind the beach on which reflect the oleanders in bloom. The inboccatura of “Codula ‘and Moons” is lost in the hinterland one of the most wild and unspoiled in all of Sardinia.